The country is in full celebratory mode this week. We’re even taking a little break here on the blog. But we want to celebrate with you : the freedom we enjoy, but more importantly, the freedom we have in Christ. A freedom that’s to be celebrated every day of our lives. 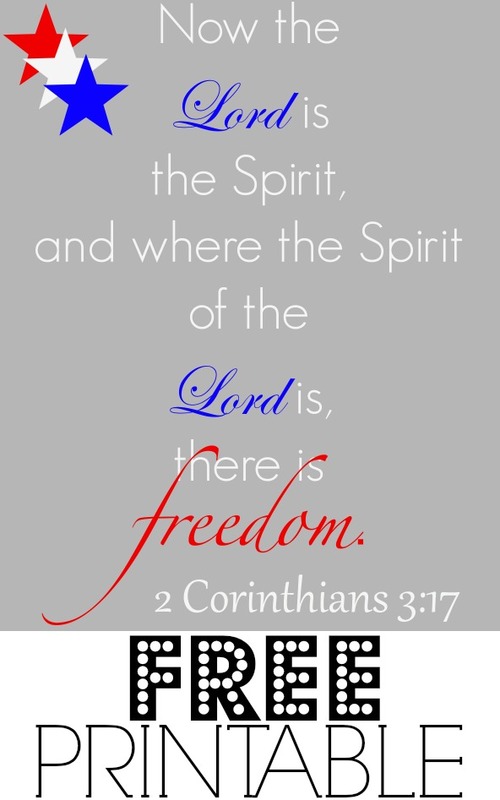 Because where the spirit of the Lord is, there is freedom! DOWNLOAD YOUR FREE 8×10 JULY 4th THEMED PRINTABLE HERE! Enjoy your holiday weekend, friends! We’ll be back next week with great new content for you! Thanks so much for sharing this! I’m glad you linked up to the Weekend Wind-Down party. What a wonderful printable. Thank you for linking up to My Favorite Things Link Party. We are thrilled to have you. We hope you link up again next week starting Friday. Pinned.